Above is just a glimpse of the Ski documentary "All I Can" by Sherpa's Cinema. 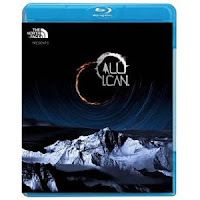 Sherpa's Cinema recently released an amazing ski documentary called "All I Can". Its a compilation of about 18 different skiers that took over 2 years to complete. It was shot on 6 continents in places like Chile, Canada, Morocco, Greenland, and Alaska. Sherpa's Cinema beautifully captures the locations and provides some epic natural cinematography. Defiantly cool and defiantly worth watching.